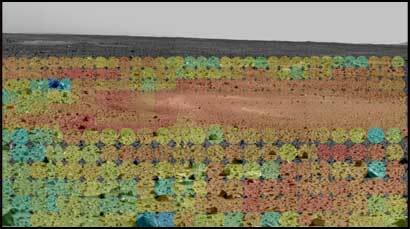 HUNTING NEW KINDS of rocks is an ideal task for the Mini-TES instrument on each Mars rover. The instrument has been especially helpful in guiding Spirit as it roves the Columbia Hills. 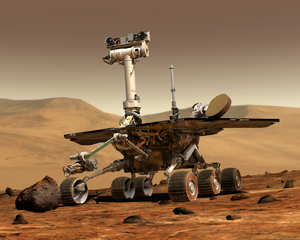 Scientists at Arizona State University’s Mars Space Flight Facility designed and operate the Miniature Thermal Emission Spectrometer (Mini-TES) instrument on each of NASA's two Mars Exploration Rovers, Spirit and Opportunity.